Location: South side of Abergele Road, just east of its junction with A547. This is a new road, built since closure of the railway. Present state: Demolished and buried under rubble. The access steps from the road and some fencing survives and part of the platform might still be extant beneath the dense undergrowth. An extension of the line from a point just to the south of the Chester to Holyhead Railway, which became known as Foryd Junction, to Foryd Pier was opened in August 1864.
the platform. The station was accessed from the Rhuddlan to Abergele road which crossed the railway by means of an overbridge. The overbridge was located to the south of the station. Steps led from the overbridge directly to the platform for foot passengers and an access road was also provided for vehicular traffic. The station was also provided with goods facilities including sidings which were located to the north. At the time of opening Rhuddlan Station was served by four trains per day running between Rhyl and Denbigh. 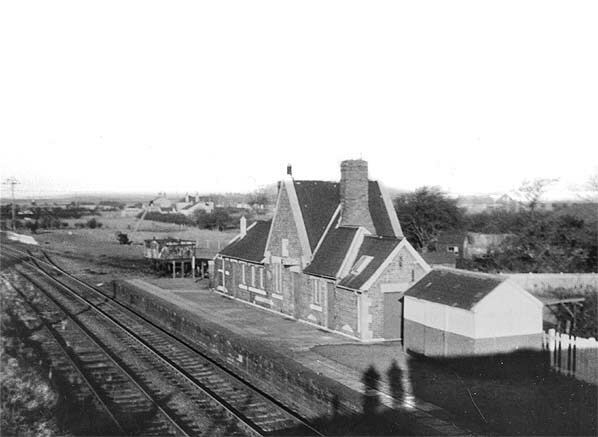 Even after the opening of the extension to Foryd Pier in 1864 the pattern of services remained unaltered as, although a station was provided at Foryd Pier regular passenger services never used it. most passenger trains still ran only between Rhyl and Denbigh. In 1923 Rhuddlan Station and the Vale of Clywd line became part of the London Midland Scottish Railway (LMS). Over the years passenger services had increased. By 1947 Rhuddlan Station was served by eight trains in each direction running between Rhyl and Denbigh. Onward connections for Corwen were available at Denbigh. 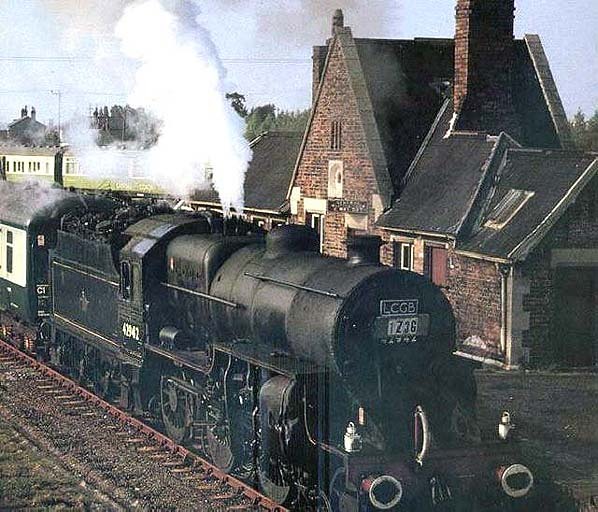 of Rhuddlan station into the 1960s. Another feature of the line was land cruise trains which took holiday makers on tours of scenic North Wales. Goods services continued to operate through Rhuddlan until the 1st March 1965 when the Vale of Clwyd Line was closed completely. It was lifted shortly afterwards. For many years the platform at Rhuddlan Station could still be seen but in more recent times it has been buried under rubble which has regenerated with scrub. 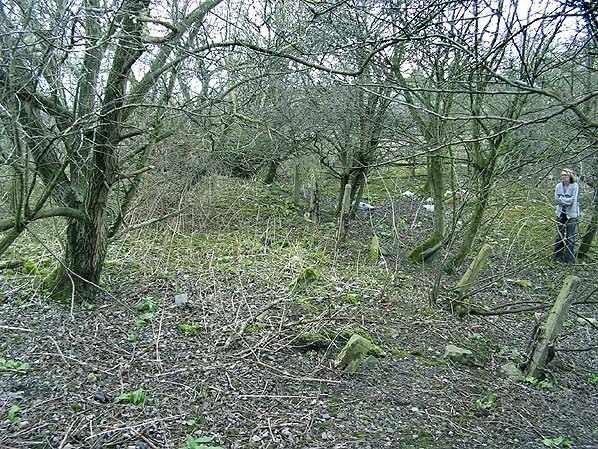 Remaining features such as fence posts and steps can still be found in the undergrowth. Rhuddlan station shown on a six-inch scale map from 1898. 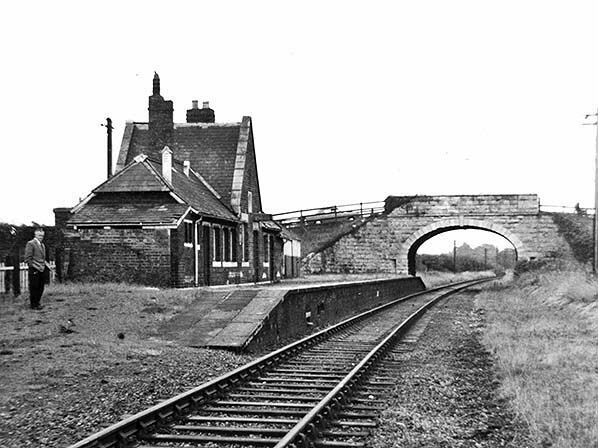 A view of Rhuddlan station looking north in 1959. 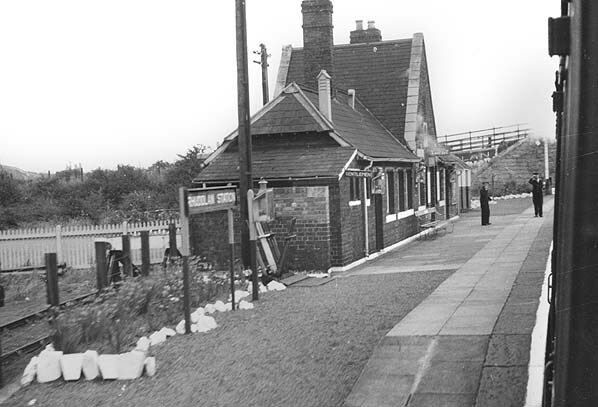 Rhuddlan Station looking south in the early 1960's. Although the station was closed to passengers it was still open for goods traffic with sidings running behind the station. LCGB Conway Valley Railtour at Rhuddlan Station on 24th September 1966. 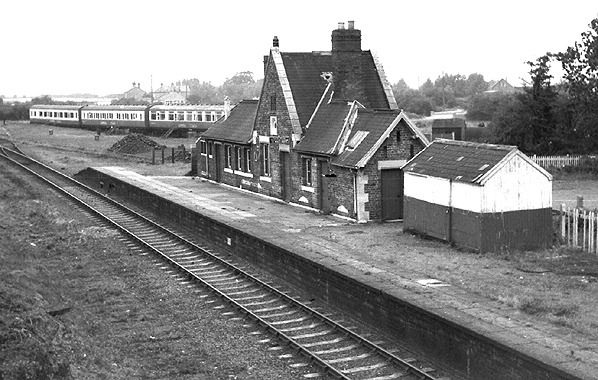 A view of rhuddlan station looking south in September 1966.
of the station can clearly be seen.